DM Metalloys Pvt. 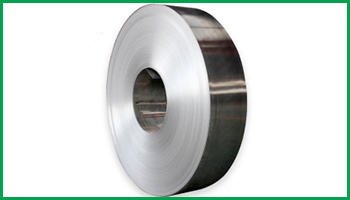 Ltd. distinguished manufacturer, supplier and exporter of stainless steel 304/34l/316/316l in 2B finish. The most common stainless steel finish is 2B. This method is cold rolled, heat-treated, pickled and pinch-passed, resulting a slightly thoughtful surface similar to a cloudy mirror. The 2B mill finish is attained with an additional light cold roll pass, and is the standard finish for 201, 301, 304, 304L, and 316L stainless steel. Stainless steel with a 2B finish is normally used for bake ware and flatware, plumbing fixtures, solar panels, industrial equipment, and wheel covers. DM Metalloys Pvt. Ltd. Supplies Stainless Steel 304/304L/316/316L 2B Finish Strips in Faridabad, Gurgaon, Gurugram, Gaziabad, Noida, Lukhnow, Delhi, Delhi NCR, Ludhiana, Amritsar, Chandigarh, Jalandhar, Baddi, Punjab, Uttar Pradesh, Haryana, Mumbai, Pune, Sahibabad, Meerut, Manesar, Bhiwadi, Bawal, Neemrana, SIDCUL, Sonepat, Ambala, Mohali, Panchkula, Kapurthala, Bareli, Kanpur.